IMF is an agile and efficient company, versatile and technologically advanced, which has been manufacturing coffee roasters and complete coffee processing plants for many years. The company is now present worldwide with full satisfaction of its customers. 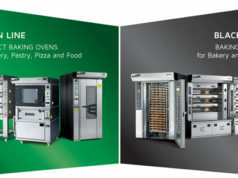 IMF has developed a whole range of equipment which may be necessary to the roasting industry of small and large dimensions. IMF’s work team designs, projects and manufactures high quality coffee roasting machines and components with a special care from the roasting, handling, to the storage of green and roasted coffee beans. All roasters are made using the highest grade materials and latest technology management software to produce a reliable and durable roasters that will last for many years. Moreover, we offer innovative solutions for the handling and the preservation of coffee beans. 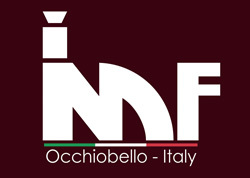 At their headquarter in Occhiobello, Italy, IMF engineers have accumulated together more than 50 years of expertise in projecting, and constructing roasters. Along with the 30 years experience in green coffee of Alessandro Garbin, CEO since 2010, it has been enhanced the knowledge and attention reserved to the coffee itself. All of our roasters, starting from the smallest to the largest, are equipped with original and exclusive equipments, which provide an excellent quality of roasting, consistency and exaltation of the flavor and the aroma of each cup of coffee. The constant research and development focused on efficiency and pursuit of quality, led the company to the creation of IMF’s integrated roaster, chaff collector, afterburner, destoner and loader which requires less operating space compared to the conventional roasters using separated accessory systems. It’s possible to roast tons of coffee, batch after batch, and still rely on even consistency of each roasting profile, regardless of whether it’s the first or the last batch of the day. The touch-screen PLC automatically controls every stage of the roasting process from the loading operations of the green coffee beans in silos to the roasting, cooling, destoning stages, up to the final roasted coffee storage in silos.